An essential piece of the Alberta’s ecological puzzle, the Castle offers outstanding wilderness values and crucial connectivity within the Crown of the Continent. With the establishment of the Castle Parks and approval of the Castle Management Plan, AWA hopes that restoration of this irreplaceable wilderness is the priority for this landscape. Uses such as commercialized developments, high-intensity recreation activities, and grazing within the Alpine Natural Region are inappropriate in wilderness areas. The Castle is a region of outstanding wilderness values. As the essential piece of Alberta’s ecological puzzle, the Castle connects Canadian and US National Parks to the south and the Flathead Basin to the west with habitats and populations in the mountains and foothills to the north. With numerous overlapping ecosystems in one relatively small area, the Castle Wilderness contains one of the highest animal and plant species diversities in Alberta. While Castle has a history of poor management and heavy disturbance by both industrial and recreational activities, AWA is hopeful that the establishment of the Castle Parks and Castle Management Plan will kickstart the road to recovery for this irreplaceable area. The cumulative impact of decades of petroleum development, logging, indiscriminate off-highway vehicle (OHV) use, commercial development and government mismanagement have been significant in the Castle Wilderness. Secure grizzly bear habitat has been reduced by at least 75 percent and the population has been cut in half. The annual death rate of black bears, largely the result of human encounters and habitat loss, is well in excess of a sustainable rate. There is evidence that since 1950, the elk population has plunged from 3,000 animals to 1,000. There has also been a 10 to 20 percent reduction in mountain goat distribution, and near-extirpation of the wolf. The Global Forest Watch Canada reports, released in 2016, underline deforestation and damage in the Castle. 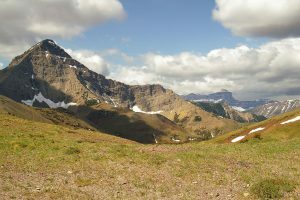 The importance of the Castle Wilderness has long been recognized, dating back to more than 100 years when Waterton Lakes National Park once included much of the Castle Wilderness. Since 1968, local people and numerous credible reports, agencies and commissions have recommended that the Castle Wilderness has already experienced significant land use impacts and requires protection. In 2015, two parks were designated within the Castle area: one Provincial Park and one Wildland Provincial Park. These were accompanied by the 2018 approval of the Castle Management Plan which emphasized the importance of conserving and restoring the Castle’s unique wilderness. These actions, and their strengthened protective status, came in response to decades of lobbying and concern by both locals and environmental organizations. The Castle is an area of restoration wilderness rather than the original pristine wilderness it once was. The Castle Management Plan commits to phasing out many industrial and high-intensity recreation activities, including forestry, coal and mineral extractions, and summer off-highway vehicle (OHV) use. The Castle’s incredible diversity, role as a wildlife corridor, vital watersheds and spiritual and wilderness recreational values have now been recognized and protected. It will require significant investment into restoration work, education, and enforcement to ensure that recovery and responsible conservation come to fruition. The two new parks were declared in the Castle on September 4, 2015: one a Provincial Park and the other a Wildland Provincial Park. Together these two parks encompass nearly 1,050 km² of sensitive wilderness area. 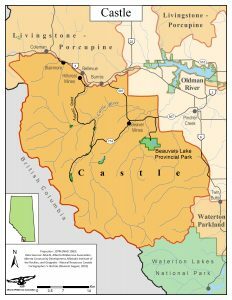 The park boundaries were officially designated with an Order in Council in January of 2017, protections for the Castle Provincial Park and Wildland Provincial Park were increased, expanding the previously announced Castle Wildland Provincial Park boundaries to increase protection of headwaters and species at risk, as well as a decision to phase-out recreational off-highway vehicle (OHV) use from both parks over a period of three years. The phase out of OHVs was included in order to allow time for the Government of Alberta to identify more suitable areas to allow OHV use on other public lands. These commitments were partially rescinded with the approval of the final Management Plan in 2018, which permitted winter OHV use. As of summer 2018, there are still designated OHV trails within the Castle Parks, north of the Tapay Road. 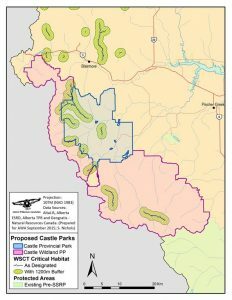 Castle-Crown Wilderness Coalition has prepared Management Principles for the 1,040 km2 Castle Wildland and Provincial Parks as announced by the Government of Alberta. You can read them here. The Castle Wilderness covers approximately 1,700 km2, and is located within the Crown of the Continent Ecosystem in southwestern Alberta. It extends along the Alberta-British Columbia border immediately north of Waterton Lakes National Park and south of the Crowsnest Pass. Stretching southward of Highway 3 and East of Highway 774, the Castle is immediately south of Hillcrest and Blairmore, and southeast of Pincher Creek. Major landmarks of the region include the Castle Wildland Provincial Park and Castle Provincial Park; notable geological features include Table Mountain, Mount Gladstone, and Victoria Peak. The Castle is a natural extension of the internationally renowned landscapes of Waterton Lakes National Park and the Waterton-Glacier International Peace Park, indicating that the importance of the Castle Wilderness extends far beyond its borders. Traversed by north-south wildlife corridors, it is a vital link connecting protected areas to the north (Banff and Jasper National Parks) to those further south (Waterton-Glacier International Peace Park). The Castle Wilderness is a key component of the Yellowstone to Yukon (Y2Y) vision. The Castle contains numerous alpine lakes and tarns, as well as alpine and subalpine wetlands. Over 26 major headwater streams of the Oldman River originate in the Parks, 23 of which support populations of native trout. The Oldman is a key watershed for Southern Alberta, given the high percentage of contributions it provides to communities downstream, the habitat it provides to fish and wildlife populations, and its cultural and historical significance to the Indigenous peoples of the area. The Castle Wilderness area has a very rugged and jagged mountainous profile characterized by extremely complex structural geology, with highly diversified folding, complicated by variable intensity of faulting. Along with Waterton Park, the Castle supports the only exposed volcanic rocks in Alberta. Movement along the Lewis Thrust Fault tens of millions of years ago resulted in the thrusting upward and eastward of enormous blocks and slabs of late Pre-Cambrian rocks over much younger Mesozoic formations. In the South Castle area, the abrupt rise of mountain peaks capped with younger Paleozoic-age rocks, ranging in composition from carbonates to conglomerates, marks the terminal edge of the Lewis Thrust Fault. This represents the easternmost advance of the Rocky Mountain Front Range in this area. To the east in the Foothills belt, Cretaceous sandstones and shales (130 million years old) extend beneath the Lewis Thrust Fault along the mountain front. These are cut locally by westward-dipping thrust faults and by vertical faulting and fracturing. At lower elevation and in the valleys, glacial debris deposits dominate. The Pre-Cambrian stratum also exhibits numerous outcrops of the Purcell Lava: a 61 m thick layer of dark green basalt extending from the U.S. Rockies into the Waterton Lakes and South Castle areas. These lava outcrops represent the only locations of exposed volcanic rocks in Alberta. In addition to glaciation processes, agents of erosion and weathering, such as running water, wind and gravity, played an important role in shaping the area’s landscape. Almost all of AWA’s castle area of concern falls within a region of national significance, primarily due to its important placement atop the Crown of the Continent. The Castle falls within the Rocky Mountain Natural Region, including Alpine, Subalpine, Montane, Foothills Fescue and Foothills Parkland Subregions. The latter three ecological regions are all underrepresented in Alberta’s current system of protected areas. 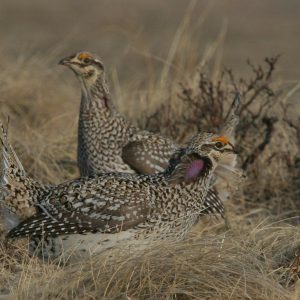 The Castle also holds one of Canada’s largest stands of big sagebrush, a rare floral community. The Castle Wilderness is an area of high biodiversity, in part due to the funnelling of southwesterly, gale-force Chinook winds down the Front Range Canyons that generates the Castle’s unique ecosystem conditions..
Indigenous Peoples have inhabited the Castle for over 10,000 years, since the retreat of the glaciers. The Castle is part of the traditional territory of the Piikani Nation, members of the Blackfoot Confederacy (Siksikaitsitapi), and holds incredible spiritual significance and is used for hunting and foraging. The Castle is an outstanding location for various low-impact recreational opportunities; including hiking, cross-country skiing, snowshoeing, wildlife photography, hunting, fishing, berry picking and horseback riding. Restoration must be a primary goal of this keystone wilderness area. AWA has long held that the Castle is an area of restoration wilderness rather than the original pristine wilderness it once was. AWA believes wilderness exists where large areas are characterized by the dominance of natural processes, the presence of the full complement of plant and animal communities characteristic of the region, and the absence of human constraints on nature. Restoring natural function and ecosystem processes means making some difficult decisions about allowed activities and initiating natural plant driven recovery processes that support the natural forces of nature. Headwater protection within the Castle is a crucial component of securing clean and clear water for downstream communities. 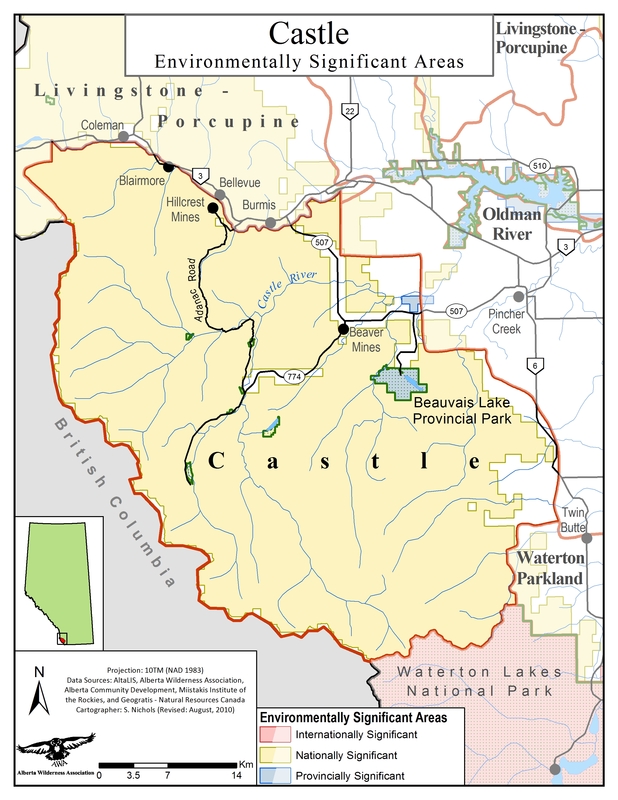 The Castle contains important watershed areas, and comprises a significant source of the water in the Oldman river system. These headwaters form vital habitat for many wild species and provide the clean water that many Albertans and other Canadians living downstream depend on. To play this vital role these headwaters need meaningful protection from excessive linear access and from motorized recreation. Roadless areas are an intrinsic requirement for wilderness areas and are vital for the protection of native ecosystems. Linear disturbance in the Castle must be reduced and recovered. Linear disturbance in both the Castle Wildland and Castle Provincial Park is well documented and exceeds targets for the successful functioning of this ecosystem. The Castle has a history of being over-roaded and over-developed. This has led to the landscape damage we see today which is in dire need of restoration. This restoration must be a primary focus of management planning, and requires stringent enforcement following the Castle Management Plan. Random camping can be an appropriate and supportive recreational use of a wilderness landscape, however it must be managed carefully with enforcement to prevent abuse of this provision. AWA generally approves of random camping. However, random camping is a privilege often abused. Consistent management and enforcement must be in place. Fourteen day limits on random camping are appropriate and offer ample opportunity to hikers and campers to explore and enjoy the surrounding wilderness areas. In the Castle and elsewhere on the Eastern Slopes these limits are being ignored; some campers are simply squatters, setting up semi-permanent camps that last over the course of the season and often over several years. Random camping, if unchecked, often places particular pressure on riparian habitat which is by far the most important for most forms of wildlife. This must be dealt with through consistent enforcement. For reasons surrounding public safety and wildlife sanctuary, hunting should not be allowed in the Castle Provincial Park. 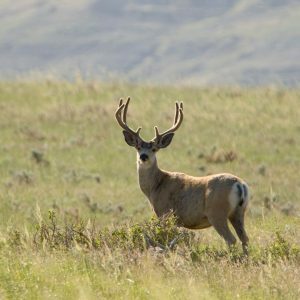 The only hunting currently allowed in an Alberta Provincial Park is the Elk management hunt in Cypress Hills Provincial Park. This is an exception that exists for a specific documented reason; no analogous situation exists in the Castle. AWA is concerned about the reasoning for allowing this hunt, to say nothing of the precedent it may set for future parks. 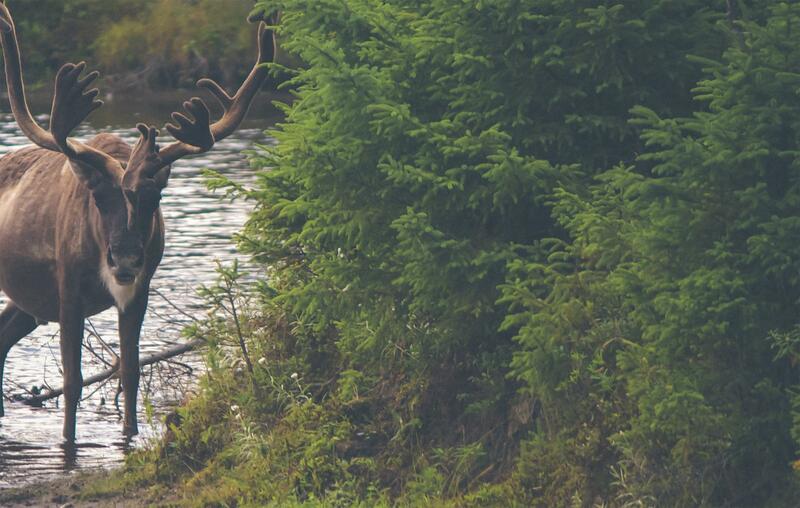 AWA is in support of sustainable hunting in the Castle Wildland Provincial Park. Livestock grazing needs to be curtailed throughout the Castle, and eliminated from the upland sub-alpine and alpine areas. Reduced stocking rates may be required and should be disallowed in the Provincial Park. 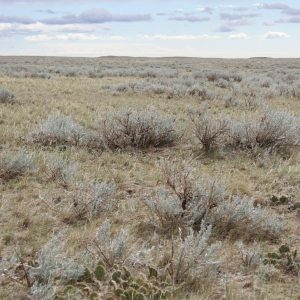 Wherever intensive livestock grazing has occurred in the Castle over the past several decades, plant communities have been converted from native species to a combination of non-native grasses, native forbs and shrubs, and non-native weedy species. By removing competing herbaceous species, grazing may also have contributed to the invasion of woody plant species. Livestock grazing also diminishes the quality of the area as a site for recreation. Off-highway vehicle (OHV) use is damaging to the environment and nearly all wildlife including sensitive and threatened species. Under the Castle Management Plan (2018) summer OHV use is to be phased out from the Castle Parks. AWA urges the Government of Alberta to address OHV use with strict enforcement and persistent education to ensure that OHV users understand the reason for the ban and cease their usage so that the trails can begin to recover. It is well-documented that the livelihood of several species at risk inhabiting the Castle, such as grizzly bears, wolves and wolverines, is negatively impacted by linear developments such as OHV trails and other areas where motorized activity takes place. The Alberta Government’s Alberta Grizzly Bear Recovery Plan 2008-2013 recommends no more than 0.6km/km² of open routes in any grizzly bear core conservation area – which includes the entire area proposed for inclusion in the two Castle parks. (“Open routes” are defined as roads or trails that receive motorized use, and on which motorized use is not controlled for the purposes of grizzly bear conservation.) 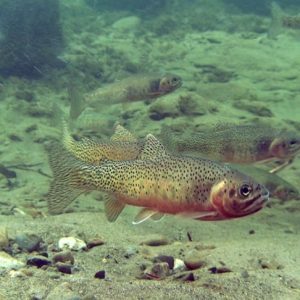 Similar recommendations on limits to the density of linear disturbance are found in recovery and management strategies for threatened fish species, such as the bull trout and westslope cutthroat trout. While the Castle Parks off-highway vehicle (OHV) ban is being phased in, the designated trail density of 0.95 km/km2 remains well above the scientifically recommended limits. The Castle Area FLUZ is not secure for grizzly bears according to thresholds for disturbances in core habitat. Concerning petroleum and natural gas commitments in the parks (both existing and new), it will be important to carefully develop a life-cycle plan. These plans will need to include agreements about the conclusion of operations by a certain date that will include restoration and reclamation commitments. The memorandum of understanding method used in the Hay-Zama Wildland Park can serve as an excellent model for this approach. Urbanization of wilderness must be avoided. Fixed roof structures of any kind, or associated “adventure tourism experiences” are not appropriate within the Wildland Provincial Park. Many of the types of adventure recreation development have similar impacts on the landscape and on the watershed as those documented for OHV trails. This includes, but is not restricted to, the concepts of hut-to-hut backcountry travel or via ferrata. In addition to their contribution to the urbanization of wilderness areas, a concern specific to hut-to-hut travel is that where it has been implemented elsewhere, the buildings often end up being misused, occupied for long periods of time (including an entire season), and rendered unavailable for the travellers and kinds of activity for which they were originally intended. There may be scope in the Provincial Park for low-impact adventure tourism opportunities. They also could occur within the Castle Mountain Resort, but outside the park boundaries, where the landscape is already significantly impacted and is perhaps not a good candidate for reclamation. However, within the Wildland Provincial Park especially, these activities are not compatible with the wilderness experience that we believe most visitors would be seeking. Careful protection is the highest and best use of these lands, given their extremely high ecological, scientific and natural history value and cultural significance to Alberta. Highway-side regions inside the park boundaries are best left undeveloped and gateway community development encouraged. There are many excellent opportunities for highway-side and other retail services (gas stations, hotels, etc.) in the hamlet of Beaver Mines and along highways 774 and 507, outside the park boundaries. These can build on existing services in the area and will be positive additions to the economy of the region. Beaver Mines and towns further afield such as Pincher Creek or the Crowsnest Pass are ideally situated to become gateway communities for the parks, and to service park visitors. For parks to be effective at providing ecological protection from impacts of industry there needs to be an effective transition zone between the areas intended to provide that protection, and those where industry is allowed to continue. Restoration cannot occur when the impacts that caused the disturbance continue. Industrial scale activities allowed to occur immediately adjacent to the park boundary including the Shell natural gas plant, and the Southern Rockies Watershed Project are existing disturbances that must be reconsidered and life cycle plans implemented with buffers targeted for any new disturbance. AWA proposes that a scientifically determined transition zone be established around the park boundaries where reduced impacts are allowed to occur, in order to facilitate full protection and restoration within the park. All activities and land uses in the Castle parks will need monitoring and consistent empowered enforcement. We have often seen well-designed policies and regulations fall through on implementation or rendered moot by a lack of enforcement. Currently in the Castle, grazers are required to follow a Grazing Lease Stewardship Code of Practice; however, repeated documentation and concerns expressed to public lands managers about damage being caused by grazing in sensitive areas have not been addressed with changes in practices. As per the 2018 Castle Parks Management Plan, off-highway vehicles are currently being phased out from the Castle Parks. This requires significant enforcement and education efforts to ensure that the Castle Parks remain undisturbed by motorized recreation, so that they may begin to heal. The Castle Wilderness sits on top of the Waterton Gas Field. To date, over 60 sour gas wells, a large network of sour gas pipelines, numerous sour gas facilities and extensive road networks have fragmented the landscape and severely impacted the ecological health of the region. AWA believes that oil and gas development should be phased out from the protected areas of the Castle wilderness. Forest harvesting has historically been the largest surface disturbance in the Castle Wilderness. Current estimates indicate that old growth forest has declined within the Castle Wilderness from the pre-settlement values of 25-35 percent coverage to 8.5 percent. With protection, logging has now been halted in the Castle Wilderness. The focus must now be on restoration of this altered wilderness landscape, which necessarily includes the restoration of natural disturbances such as wildfire. Piecemeal development by Castle Mountain Resort Inc. continues within the core of the Castle Wilderness, with no environmental assessment requirement. The cumulative impacts of such continued commercial and residential development may have significant ramifications for sensitive species such as bears and wolves. Their larger movement patterns will likely be disrupted, posing a threat to their regional populations, and their associated sewage lagoons threaten fish habitat and drinking water. AWA maintains that commercial and residential development is inappropriate in this ecologically-sensitive and treasured lands of the Castle region. The Government of Alberta approves the Castle Management Plan. This plan mark historical progress for wilderness conservation, in response to decades of concern by locals and environmental organizations over the Castle’s critical wilderness areas. While the plan bans summer off-highway vehicle (OHV) use, OHV activity will still be phased out over the course of three years. This means that the damages associated with motorized recreation will persist until the phase out is complete, and require intensive education and enforcement in order to ensure compliance. AWA believes the focus must now shift to restoring and protecting this valuable wilderness landscape. Charlie Russell passed away on May 7, 2018. Charlie Russell was a lifetime defender of the Castle Wilderness and a strong advocate for grizzly bears. His legacy lives on through the Castle Parks. Grazing – The establishment of the Castle Parks provides an opportunity to rectify past management practices for cattle grazing and to restrain the invasion of non-native species. We maintain that cattle impacts to riparian areas, the upper alpine and the alpine need not only be reduced but eliminated, which will mean curtailing livestock grazing throughout the Castle. Hunting – AWA has outstanding concerns about the reasoning for allowing hunting in the Castle Provincial Park, but we support hunting within the Wildland Provincial Park as a compatible use. AWA remains concerned about the reasoning for allowing hunting within the Provincial Park and the precedent it may set for future parks. We therefore request that hunting not be allowed in the Castle Provincial Park. Off-Highway Vehicles – AWA respectfully requests that all motorized recreation be banned from the Castle Provincial Park and the Castle Wildland Park immediately, as this land use is incompatible with conservation objectives. A number of announcements regarding the Castle region are made, including changes to the draft management plan and an extension of the consultation period. At an event in Lethbridge, a group of scientists, local residents, conservationists, authors and recreationists told the story of 50 years of stewardship for the Castle Wilderness. This enforced the overwhelming amount of local support for the Castle Parks. 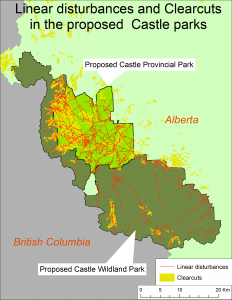 An Order in Council for the Castle Parks passes that expands the previously announced Castle Wildland Provincial Park boundaries. This is coupled with an announcement by Premier Notley that all illegal off-highway vehicle (OHV) trails will be closed immediately and all others will be phased out over the next few years, focusing on prioritizing trail closures which threaten westslope cutthroat trout habitat. The proposed 5 year plan to phase out OHV use places continued stress on critical habitat. AWA believes the elimination of off-highway vehicles needs to be immediate. An incident report from the Castle-Crown Wilderness Coalition’s Stewardship Coordinator on May 7th documents illegal motorized recreation in a closed area during a province wide off-highway vehicle (OHV) ban. This prompted a call for a continuation of the OHV ban that had been instituted due to the province-wide fire hazard. Castle-Crown Wilderness Coalition publishes Management Principles for the 1,140 km2 Castle Wildland and Provincial Parks as announced by the Government of Alberta. 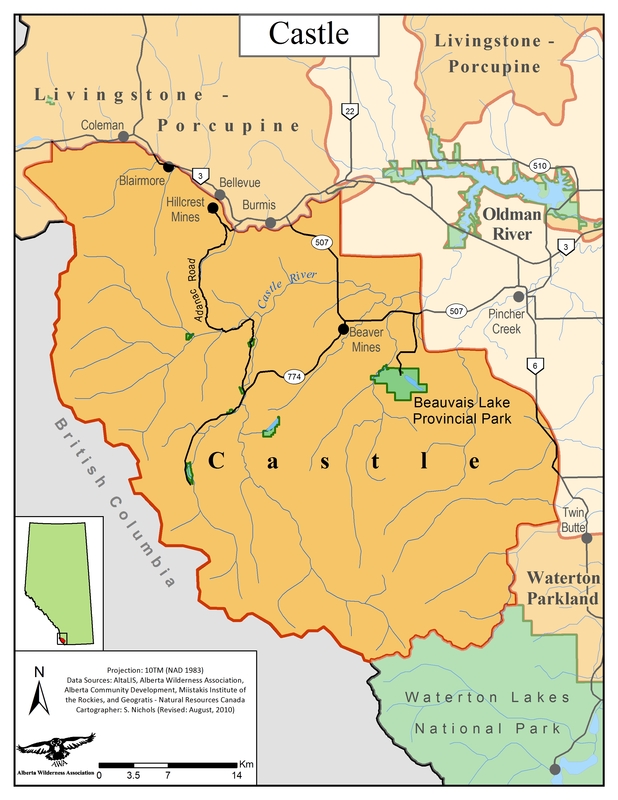 Castle Provincial Park and Castle Wildland Provincial Park are established. AWA has been advocating for the protection of this area since our founding in 1965, and we are greatly encouraged to now see what the best chance in 50 years to see that protection come to fruition. While the provincial government is to be congratulated for ending commercial forestry, coal and mineral extraction, and new surface access to oil and gas developments in the parks, their list of planned land designations in the parks contains some activities, such as motorized recreation, grazing and hunting is concerning. Management proposals from Alberta Environment and Parks (AEP), suggest a level of protection that is more symbolic than substantive. True legislative protection of the Castle Area is critical to ensure that protection of the Castle Wilderness is substantive and allows restoration of this magnificent area as a vital wilderness legacy for generations to come. AWA learns that experimental logging of Star Creek Valley is going ahead, despite the number of groups and individuals expressing concern about the project. Of particular concern is that the creek contains a population of threatened westslope cutthroat trout downstream of the proposed logging area. The Government of Alberta releases the final version of the South Saskatchewan Regional Plan. While some improvements were made from the draft, it fell short from the long awaited expectations of having the entire 10,000 hectares of the Castle designated as a Wildland Provincial Park. 50 conservationists hike to the top of Table Mountain in support of protecting the Castle Wilderness. Documents recently released under a Freedom of Information and Protection of Privacy (FOIP) application by Alberta Wilderness Association (AWA) reveal that the Alberta Government receives just $20 in royalties for each truckload of non-merchantable timber removed from the Castle. Castle Crown Wilderness Coalition and local residents initiate a judicial review into the Government of Alberta’s decision to allow clearcut logging in the Castle. Four protesters are arrested by RCMP for declining to leave the Castle logging protest camp, despite a court order to do so. SRD officers and RCMP also serve a Court Order against five more protesters. In a negotiated agreement, provincial officials decide not to charge anti-logging protestors who were arrested. Despite extensive public opposition, government plans for clearcut logging operation in the Castle continue. Most of the timber cut by Spray Lake Sawmills will be used for fence posts and garden mulch. Logging plans for the C5 forest management area are changed to include clearcut logging in the Castle, despite intense local opposition. 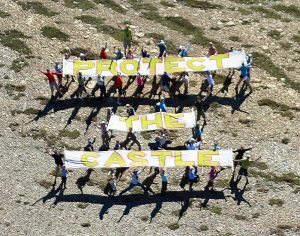 The new premier, Alison Redford, receives thousands of letters and emails asking her to suspend the logging and protect the Castle. The Government of Alberta releases the report on grizzly bear recovery, titled Grizzly Bear Conservation in Alberta. The Castle continues to be a population sink for grizzlies. More than 80 people attend a rally on the steps of the Alberta government’s McDougall Centre in Calgary to protest the planned logging in the Castle. Legal counsel for Mike Judd, a Pincher Creek based landowner and outfitter, files a Leave to Appeal application; appealing against the Energy Resource Conservation Board (ERCB) approval of Shell’s Mount Backus well. The appeal is on the basis that the ERCB “erred in law by not properly considering the potential impacts of Shell’s project on endangered grizzly bear populations and by refusing to allow evidence about the presence of a known and documented grizzly bear den to be admitted at the public hearing.” The appeal is eventually thrown out. The Praxis Group of Calgary carries out an opinion poll survey of residents living close to the Castle. Of the 774 residents surveyed 74 per cent agree that the province should legally establish a 1,023 km2 Wildland Park to better protect the Castle Special Place. 77 per cent also oppose plans by Alberta Sustainable Resource Development and Spray Lake Sawmills to clear-cut log the area between Beaver Mines Lake, Castle Falls and Lynx Creek starting in June. In an earlier survey of Lethbridge and Coaldale residents, more than 85 per cent of those surveyed opposed the clear-cut logging in the area, and 87 per cent of residents surveyed supported the establishment of a Wildland Park in the area. Global Forest Watch (GFW) Canada produces a new report: Castle Area Forest Land Use Zone: Linear Disturbances, Access Densities and Grizzly Bear Habitat Security Areas. The report concludes that the Castle Special Management Area is no longer secure for grizzly bears and that sustainable environmental management of the Castle wilderness is not occurring. The ERCB gives the OK to Shell Canada to drill a critical sour gas well in an area of the proposed Castle Wilderness. Shell had applied to drill an exploratory well near Mount Backus in an area designated by the Alberta government as Critical Wildlife Habitat. In a curious decision (2011 ABERCB 007), ERCB denies permission to construct the necessary pipeline which would be required to extract any gas should the test well be successful. 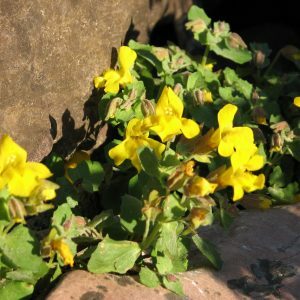 The ERCB decision also recognizes that Shell’s rare plant survey of the potential well site was flawed: it failed to find 9 rare plant species which were discovered in later independent surveys. Subsequently, Alberta Sustainable Resource Development suspends approval of the well development until a plan is produced to “mitigate” impacts on rare plants. The new C5 Forest Management Plan is passed, but does nothing to respect the non-forestry values of the region. AWA and local residents remain active in protesting against plans for clearcut logging in the Castle region. AWA identifies a need for education of suppliers of wood products as to the source of timber, and is working with Alberta Foothills Network to investigate the possibility of a market action campaign based upon these contacts. The Energy and Utilities Board (EUB) issues its decision (2008-127) denying Shell Canada permission to drill a sour gas well and construct two pipelines and a central facility close to the town of Beaver Mines. Shortly after, a nearby Shell pipeline ruptures, causing a sour gas leak which forces the evacuation of 10 homes. Subsequently the Board decides to delay its decision on the Shell application until investigation of the pipeline leak was complete. not proceed with exploration and development activity in the South Castle and West Castle drainage south of Southfork Mountain. Castle Special Place Citizens’ Committee begins to meet to discuss protection options in the Castle, specifically the area identified by the province’s Special Places program, 1995-2000. An Energy and Utilities Board (EUB) hearing is held regarding the proposed Shell Canada gas well at Mount Backus, near Beaver Mines. Local residents and the Castle-Crown Wilderness Coalition speak out strongly against the proposals. A third study is begun to look at direct seeding of whitebark pine seeds in subalpine areas. 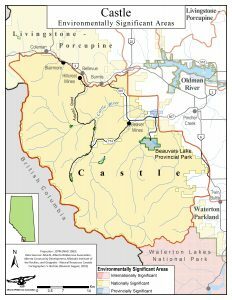 The proposal by Castle Mountain Resorts (CMR) to withdraw 30,000 m3 of water from the Westcastle aquifer for snowmaking is withdrawn in November, following Statements of Concern filed by the Castle-Crown Wilderness Coalition (CCWC) and the Parks branch of Alberta Community Development. Of particular concern are the potential effects on water levels of the nearby Westcastle River Wetlands Ecological Reserve and the implications for plants and wildlife such as bull trout. CROWPAC, the Public Advisory Board for the C5 Forest Management Plan, writes to the Crowsnest Pass Promoter to criticize the draft C5 Forest Management Plan. Plans to develop the former ranger station and old minimum security camp on crown land in the Castle are vigorously opposed by locals and environmental groups. The plan would convert the land into a trailer park offering year-round accommodation and recreational facilities in the area. The Draft Forest Management plan is released for the C5 Forest Management area, including the Castle region. AWA criticizes the plan for its focus on continued timber supply rather than ecologically-based forest management. Calls for the new Andy Russell Wildland are tabled in the Alberta Legislature by Harry Chase, Alberta Liberal Party Critic for Community Development; they receive a warm response from members of all political parties. Supporters of the US group, the Natural Resource Defense Council, send 23,000 letters to Premier Klein in support of designation of the Andy Russell Wildland. Alberta Court of Appeal overturns earlier Judicial Review decision, which ruled that Alberta Environment was ‘patently unreasonable’ not to require an Environmental Assessment for future expansions of Castle Mountain Resort in the Westcastle Valley. CPAWS and Shell Canada jointly release Selected Ecological Resources of Alberta’s Castle Carbondale: A Synopsis of Current Knowledge. AWA calls for the Castle to be protected as the Andy Russell Wildland, in recognition of this incomparable wilderness advocate who died June 1. The process to revise 1992 Castle River Access Management Plan for Motorized Recreational Access begins. AWA maintains that is it inappropriate to “have an access management plan which looks solely at motorized access and ignores its effect on non-motorized access” and is still committed to seeking legislated protection for the Castle Wildland. Madam Justice Kenny, Court of Queen’s Bench, hands down decision on Judicial Review of the Minister for the Environment’s decision not to order an Environmental Impact Assessment (EIA) of the Castle Mountain Resort’s (CMR) proposed development. The Minister’s decision was ruled to be ‘patently unreasonable’. CMR development put on hold. Shell agrees to decommission old Waterton #12 well site, North Drywood Creek, though they are not legally obliged to do so. Soil samples revealed alarming levels of soil contamination. Castle-Crown Wilderness Coalition (CCWC) issues report: Grizzly Bear in southwest Alberta: A vision for population and habitat recovery. The report estimates that there may only be a total of 39 grizzly bears in Southwest Alberta south of Highway 3. May to December, in response to the Alberta government’s failure to require an Environmental Impact Assessment of proposed Castle Mountain Resort (CMR) expansion, the Castle-Crown Wilderness Coalition (CCWC) initiates a judicial review, held December 2003. 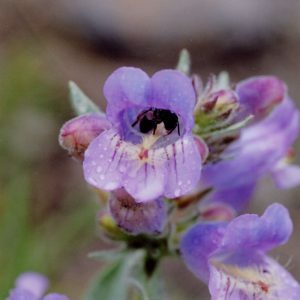 AWA begins a three year Rare Plant survey of the Front Range canyons in the Castle area. April, the Natural Resources Defence Council (NRDC) names the Castle Wilderness a BioGem – wild places throughout the Americas in urgent need of defence. January, Alberta’s Office of the Information and Privacy Commissioner finds that the Department of Environment and Sustainable Resources Development contravened the “Freedom of Information and Protection of Privacy Act” in refusing to release information relating to Alberta Environment’s decision to not require an Environmental Impact Assessment (EIA) of the Castle Mountain Resort (CMR) expansion. Shell Canada submits an application for the development of the Waterton 14-21 drill site, a sour gas well located within the Castle Wilderness. Castle Mountain Resort (CMR) continues to expand development of the ski hill in a piecemeal fashion, despite the lack of wildland protection as ordered by the Natural Resources Conservation Board (NRCB). In response to the Alberta government’s failure to require an Environmental Impact Assessment of this expansion, the Castle-Crown Wilderness Coalition (CCWC) initiates a judicial review. Alberta Energy and Utilities Board (EUB) ignores its own environmental and safety policies, rejects public hearing requests and approves Shell Canada’s potentially lethal sour gas well only 300 meters from Castle Falls, a major public campground. North American Commission for Environmental Cooperation (NACEC) considers the “Crown of the Continent” ecosystem to be part of one of North America’s 14 most biologically diverse and threatened regions – the Rocky Mountain region. The Panel on Ecological Integrity of Canada’s National Parks details that the health of Waterton Lakes National Park is dependent on adjacent provincial and private lands. It recommends that the federal government dedicate funds to conservation efforts in this larger ecosystem and seek provincial cooperation to find conservation solutions for lands adjacent to Waterton, including the Castle region. The Alberta Energy and Utilities Board (EUB) release their Screwdriver Creek Decision Report (2000-17) in response to an application by Shell Canada and Canadian 88 to drill at the eastern edge of the Castle Wilderness. It acknowledges that significant regional cumulative environmental impacts have occurred in the Castle, and that biological thresholds for some species (i.e. grizzly bears) have likely been exceeded. However, the Board continues to approve development. Atlas Lumber, and to a lesser extent Spray Lake Sawmills, continue wide spread clearcutting of old growth forests within the Castle Wilderness. In response, the Castle-Crown Wilderness Coalition (CCWC) initiates a consumer boycott of lumber taken from the area. The revised Castle River Sub-Regional Integrated Resource Plan is released for public comment. Revised plan is intended to incorporate recommendations from Special Places report, A Living Document. Castle area advocated by Alberta’s conservation groups and national affiliates as one of the ten easiest, big wilderness areas for the Alberta government to establish as a park. AWA, Canadian Parks and Wilderness Society (CPAWS), Professional Outfitters Association and Speak Up For Wildlife withdraw from Castle Access Management Plan Working Group due to the fundamentally flawed process, particularly the failure to use the best available science in decision-making. Atlas Lumber proposes a winter logging plan that would remove the last remaining stands of mature old-growth forest in the Lynx Creek-Carbondale drainage. A “range of preservation measures” is announced for the Castle by provincial Minister of Environmental Protection Ty Lund. “These designations mark a major milestone in the preservation of Alberta’s natural heritage for future generation,” says Mr. Lund. “The protection measures for the Castle area reflect the Local Committee’s recommendations to provide legislated protection for the area,” says a government news release. Measures include establishment of the West Castle River Wetlands Ecological Reserve. Plans to review the Castle Integrated Resource Plan are announced. 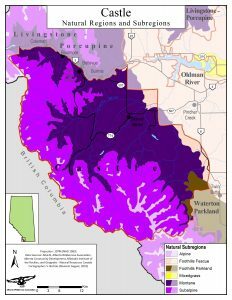 Castle Special Management Area Forest Land Use Zone designated. This zone will allow for clear-cut logging, oil and gas development, motorized access, mining exploration and the four season West Castle resort. The 94 hectare West Castle River Wetlands Ecological Reserve established. Terms of reference for the Castle local committee of Special Places 2000 are released by MD of Pincher Creek. The original intention of these committees was to decide what level of protection sites such as the Castle (as selected by the Provincial Coordinating Committee) should receive. In contrast, the Castle committee decides unilaterally to revisit whether there should be any protection at all. Under the Special Places program, the Local Committee recommends only three very small areas for protection, including a one square kilometre area in the West Castle Wetlands. Vacation Alberta sues the Alberta government over its failure to designate the West Castle Wildland Recreation Area, and its subsequent withdrawal of permission to develop the ski resort. The case is settled out of court. West Castle Development Authority purchases an additional 40 hectares (100 acres) of public land for $1,235.50/hectare ($500/acre). This land adjoins those public lands sold in 1986 and allows further development of the Castle Mountain Resort. The Government of Alberta approves the Castle River Access Management Plan, created to regulate off-highway vehicle use. Environmental groups continue to oppose a plan that does nothing to address needs of non-motorized users, or wildlife such as grizzly bears. Four members of the Castle River Consultation Group (representatives of local farmers, OHV users, Cowley Forest Products and Backcountry Horsemen of Alberta) resign. Cabinet quickly reverses its approval of the 1993 NRCB decision and disband the committee. Government and MLAs are under severe lobbying pressure from OHV users, including false claims that Wildland Recreation Area designation would ban a range of activities, including hunting, fishing and berry-picking. Shell Canada lobbies the Alberta government to oppose the Natural Resources Conservation Board’s recommendation for Wildland designation of the Castle Wilderness. Atlas Lumber begins cutting the last old growth forest (230 year old Engelmann spruce) in the Goat Creek area. The Government of Alberta releases Special Places 2000: Alberta’s Natural Heritage, to “complete a protected areas system that achieves the goals of protection, outdoor recreation, heritage appreciation and tourism.” Plan is met with guarded optimism. Terms of reference for Environmental Impact Assessment (EIA) of Westcastle development released. EIA focuses on the development itself but does not consider the impacts of increased visitor and resident numbers on the region as a whole, nor impacts on the Castle River downstream. Development plans for four season Westcastle Ski Hill are unveiled. Proposals include 98 ha of ski runs, two 18-hole golf courses, two hotels, condominiums, townhouses, fourplexes, RV park and commercial space. Public ‘hearings’ on the draft access management plan are held in Crowsnest Pass, Pincher Creek and Lethbridge and are “densely packed with off-highway vehicle users, most of them male and most of them angry.” (Wild Lands Advocate, Summer 1990). Intense lobbying by OHV groups continues to call for more motorized access. Revised Access Management Plan makes significant concessions to lobbyists from motorized access groups, including extended summer and winter access. AWA, CPAWS and Speak Up for Wildlife withdraw from Access Management Plan process, over fundamentally flawed process and failure to use credible science in access decisions. Goat hunting is suspended in the Castle region following concerns of a ‘major decline’ in the population (Alberta Forestry, Lands and Wildlife). The Government of Alberta initiates the Access Management Plan process. The Government of Alberat gives Shell Canada permission to drill at Upper Whitney Creek, one of the last pockets of untouched wilderness on the east slopes of southern Alberta. Through a “step-out” loophole of the Eastern Slopes Policy, Shell Canada proposes drill two gas wells in prime protection land on top of Prairie Bluff. Two wells and an access road would be constructed above 7000 feet, within the Prime Protection Zone (Zone 1). AWA argues that wells will disturb struggling bighorn sheep populations. ERCB approves Shell’s applications in October. No Environmental Impact Assessment (EIA) is required. In response to non-violent protest by concerned citizens at the Prairie Bluff/ Corner Mountain construction site, Shell Canada wins an injunction to get demonstrators off the leased public land. As a result of the Prairie Bluff protest, Shell Canada serves AWA with a statement of claim for over $100,000. Plans by Shell Canada to drill for sour gas in the Jutland area results in vigorous opposition from local residents, conservation groups, scientists, outfitters and Parks Canada. The primary concerns of these groups included the risk to threatened species (e.g. grizzly bear and bull trout), the visual impact including 24 km of access road, safety concerns and the lack of environmental impact assessment (EIA). June, Shell Canada also announces its plans to drill three new wells on prairie Bluff, over 7000 feet and also in the Prime Protection Zone. Alberta Forest Service assists in determining possible access routes to locations for wells proposed by Shell Canada on Prairie Bluff in Zone 1 (Prime Protection); a campaign to boycott Shell products follows. Shell Canada decides not to drill at the site due to geological reasons. The Government of Alberta sells 12.5 hectares of public lands in the West Castle for an expansion of the ski hill, as well as commercial and residential development. Provisions are made in the Agreement for the future sale of another 40 hectares. AWA applies for protection and rezoning of entire South Castle as Prime Protection Zone. The government rejects the AWA application and approves a drilling application by Shell Canada. AWA also submits Preliminary Disclosure for a Wilderness Natural Area to Don Sparrow, Associate Minister for Public Lands and Wildlife. Both proposals are summarily dismissed. The Alberta government approves the 1984 draft of the Integrated Resource Plan (IRP). Shell Canada applies once again to drill in Jutland area. The Government of Alberta unilaterally changes its 1977 Eastern Slopes Policy; originally produced following a substantial public input process. Changes include allowing regional management committees to change zoning to allow industrial activity, changing Prime Protection (Zone 1) to allow “step out” drilling and other “geophysical activity”, and redefinition of the General recreation (Zone 4) to allow oil and gas activity. A revised draft Integrated Resource Plan (IRP) is released with zoning changes. The Prime Protection Zone is reduced and no longer includes the Jutland site. The management planning committee for the South Castle includes AWA and Shell Canada Environmental Biologist Doug Mead, representing the Canadian Petroleum Association. The Government of Alberta releases a draft Integrated Resource Plan (IRP) without any reference to the 1979 recommendation to expand the Prime Protection Zone. The Jutland site remains within the Prime Protection Zone. Outbreak of Pasteurella pneumonia kills an estimated 65 percent of approximately 400 bighorn sheep between Waterton and the Crowsnest Pass. Domestic sheep are implicated in the outbreak. The Integrated Management Plan for the Castle River is released. Together with Waterton Lakes National Park, Glacier National Park and adjacent lands in Montana, the Castle River drainage is declared a UNESCO International Biosphere Reserve. South Castle becomes the Biosphere Zone of Cooperation. Shell Canada applies for reduction of Prime Protection Zone in the South Castle to allow exploratory drilling. The Alberta government rejects the rezoning application. Rather than compensating Shell for its leases and purchasing back other leases in the area, the government extends the life of the lease. Eastern Slopes Policy creates areas of Prime Protection (Zone 1), Critical Wildlife (Zone 2) and General Recreation (Zone 4) in the Castle region. Zone 1 designation does not allow Logging, petroleum and natural gas development, mineral or coal exploration and development or OHV activity. Petroleum and natural gas development is ‘restricted’ in Zone 2, and not allowed in Zone 4, General Recreation. Parks Canada “urges the Government of Alberta to consider the establishment of a large provincial park in the Castle River area, to relieve some of the pressures on Waterton National Park.” Parks Canada notes the considerable movement of wildlife across Park boundaries, particularly sheep, goats, elk and grizzly bears. Shell Canada applies to drill in Jutland area of South Castle but is denied because it is within a Prime Protection Zone. Shell Canada obtains subsurface leases for Castle area. AWA proposes South Castle Wildland Recreation Area during Eastern Slopes Hearings. Timber Management Branch of Alberta Forest Service outlines concerns over harvesting timber from the high value watershed of the Castle District. Pincher Creek Fish and Game Association calls for the protection of the South Castle area. Discovery of Waterton Gas Field stimulates further exploration throughout the area. Provincial Game Reserve status is removed from the Castle. First road, a fire road, built along the South Castle River. Recreational use of the Castle region begins to expand. Huge fires consume forests of the South and West Castle, all the way north into Kananaskis Country. Control of Alberta’s natural resources transferred from Federal government to province, through Resources Transfer Act. Castle is removed from Waterton Lakes National Park and transferred to Alberta Government. The region becomes a Provincial Game Reserve. Capacity constraints force the Park to divest itself of more than half of its territory. Waterton Park is enlarged from 35 km2 to 1347 km2, to include much of the Castle Wilderness. From 1914 to 1921 the park included all of the South and West Castle River headwaters. Waterton Park designated a Dominion Park. Waterton Lakes set aside as Forest Park by federal government on 54 sq mi. of land surrounding the lakes. Indigenous Peoples have inhabited the Castle for over 10,000 years, since the retreat of the glaciers. This is the traditional territory of the Piikani Nation, members of the Blackfoot Confederacy (Siksikaitsitapi), for hunting and winter camps. Action Alert: Quick Update on the Castle and Eastern Slopes! "Away, away from men and towns, To the wild wood and the downs- To the silent wilderness Where the soul need not repress Its music."